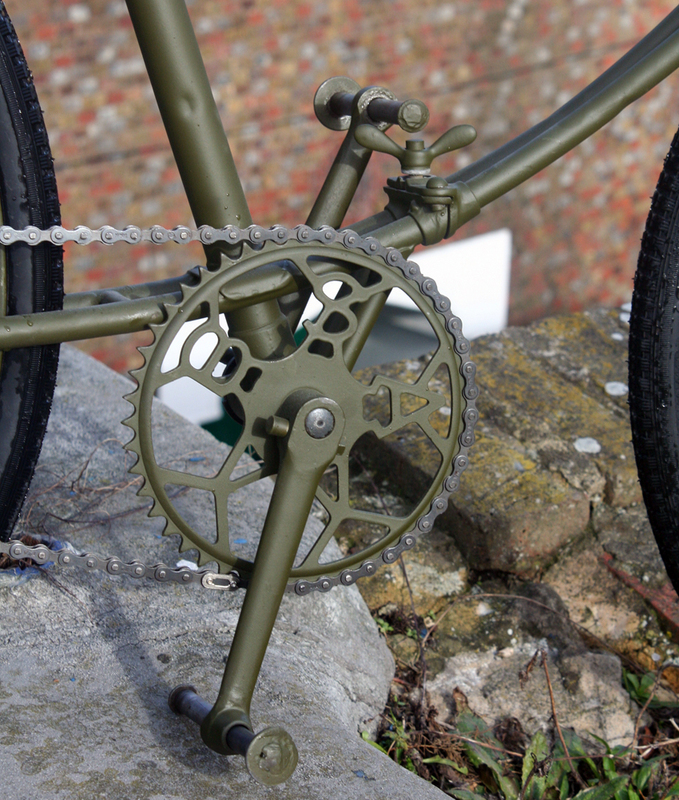 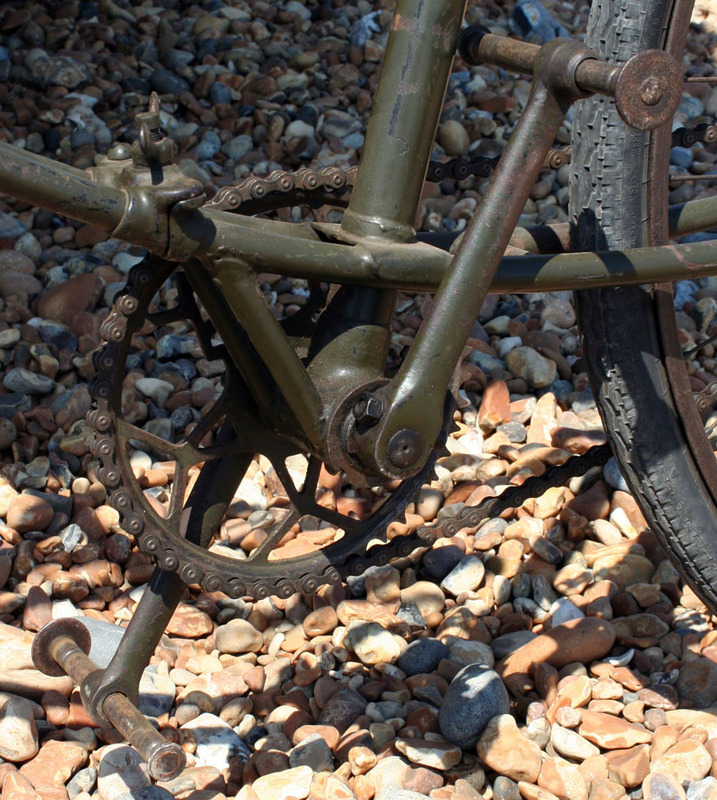 Here’s another BSA Airborne bicycle for sale, ready to add to the collection of a vintage or military enthusiast somewhere around the world. 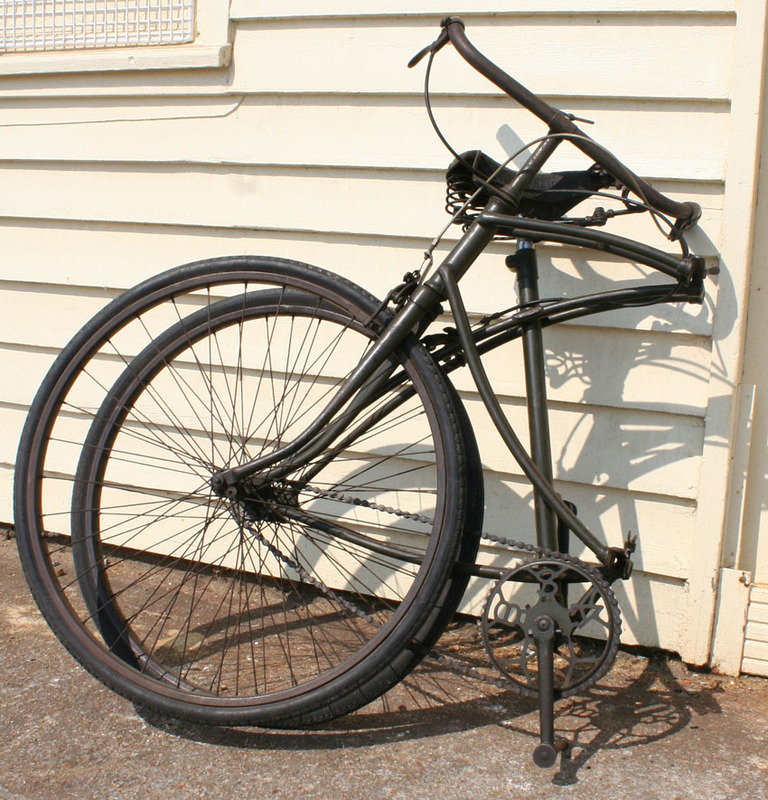 This bicycle is ready to use and display. 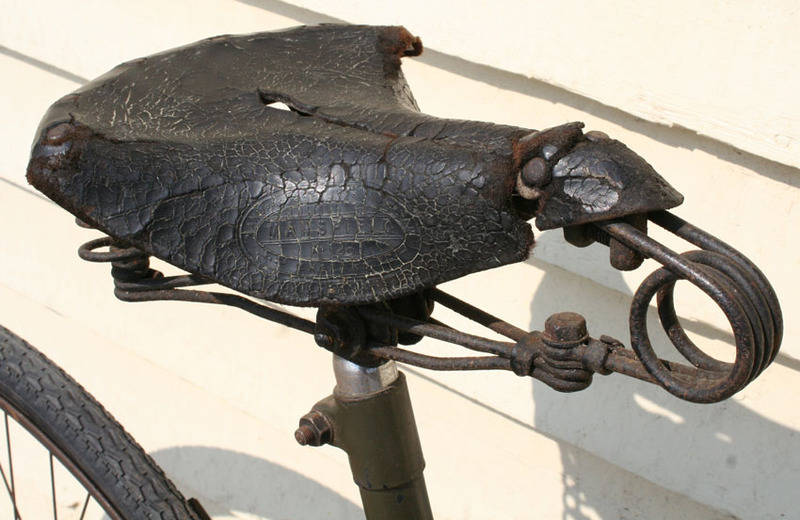 It’s extremely original and you can ride it right away. 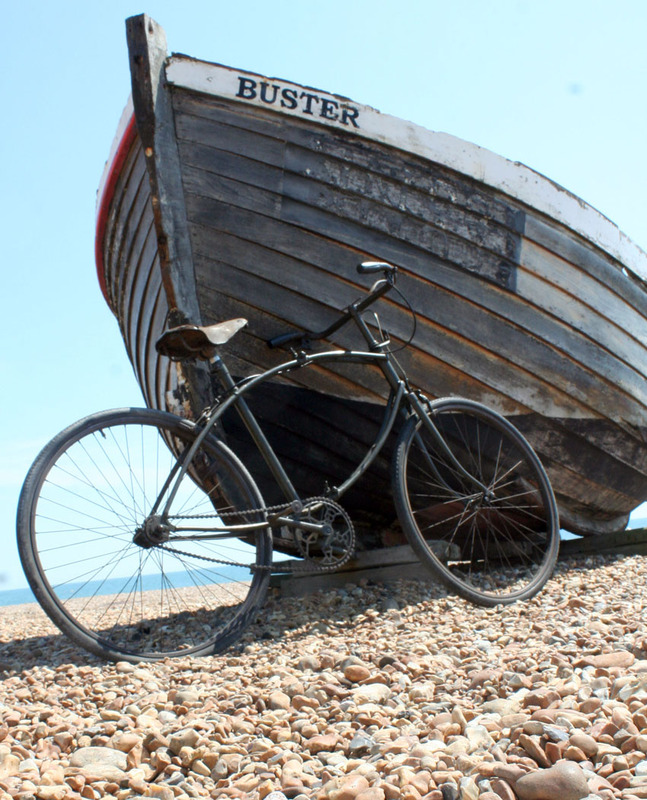 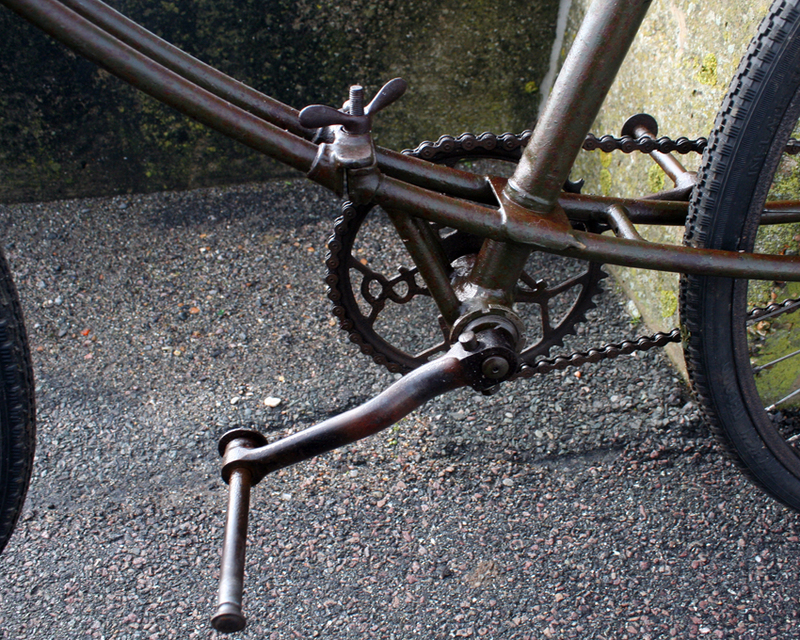 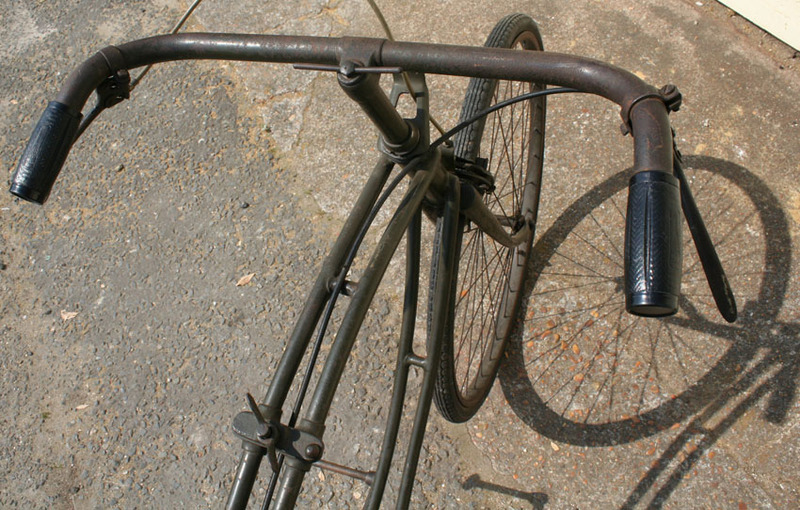 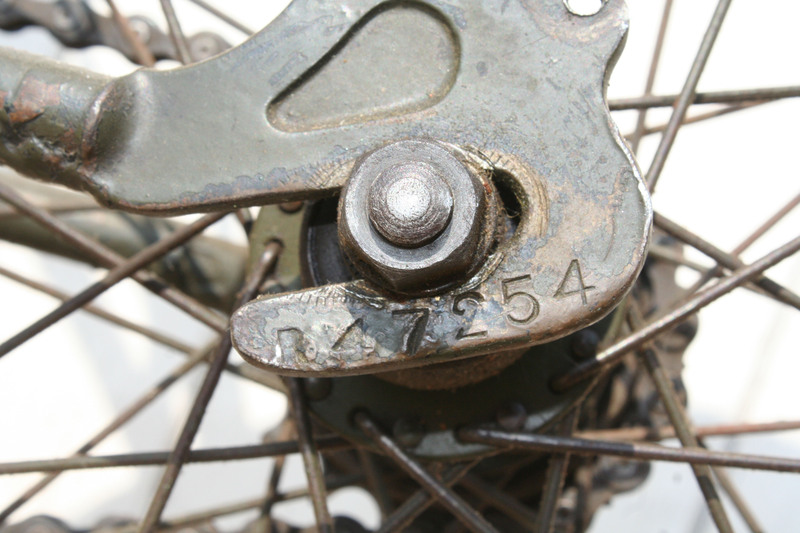 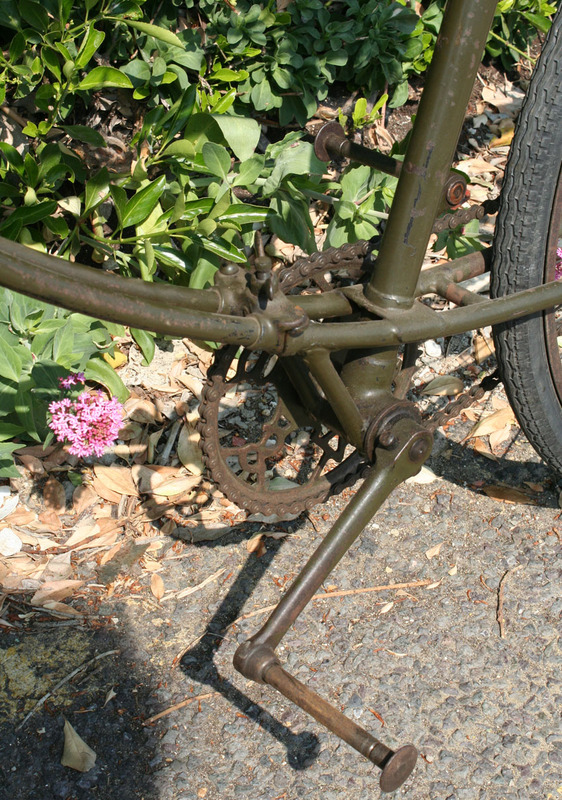 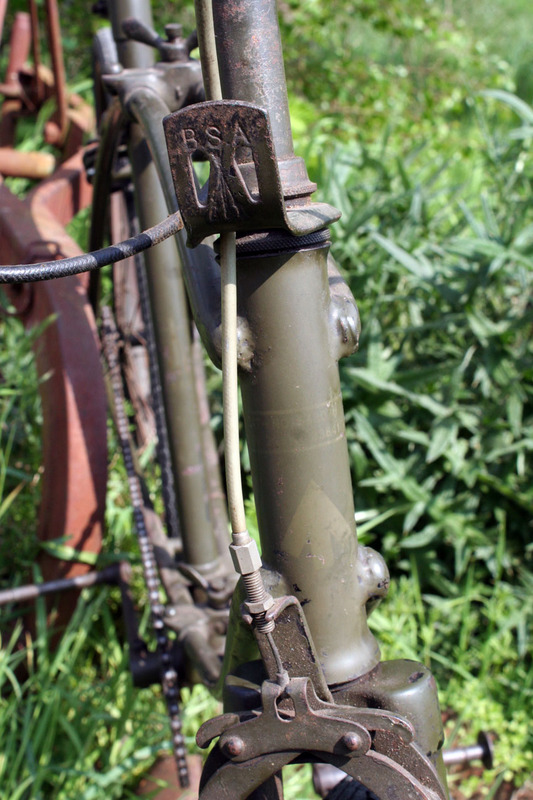 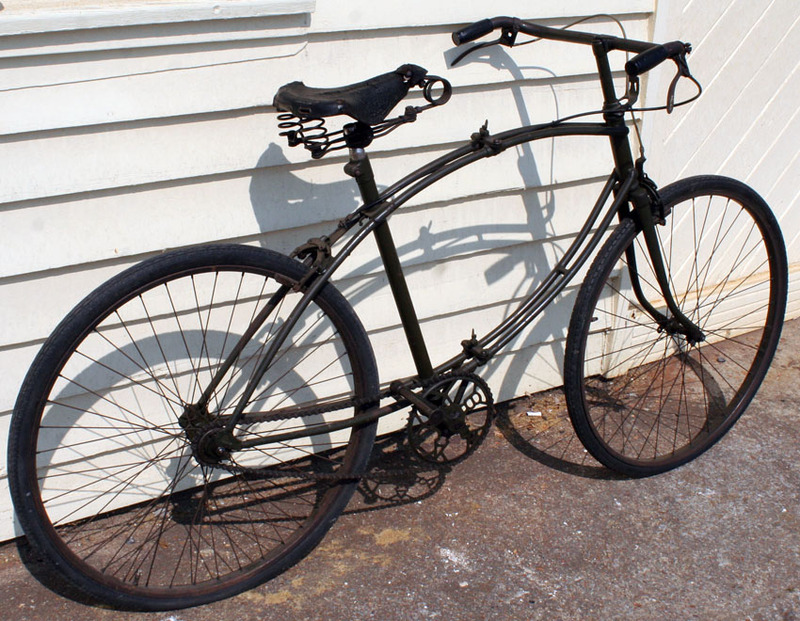 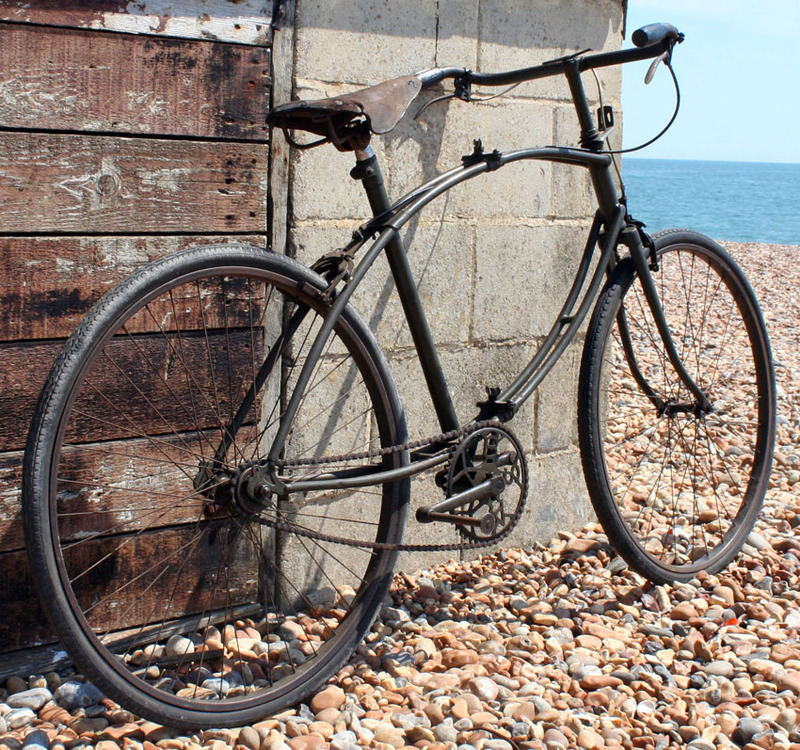 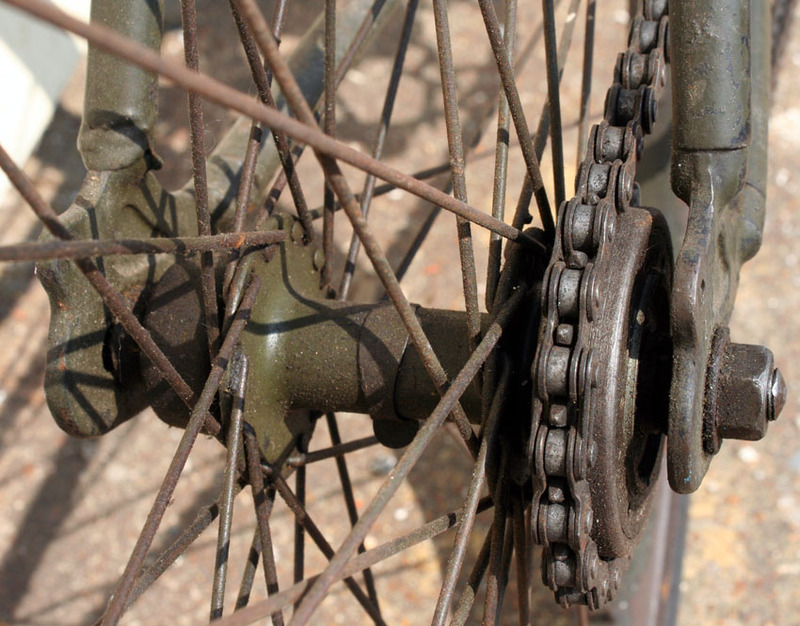 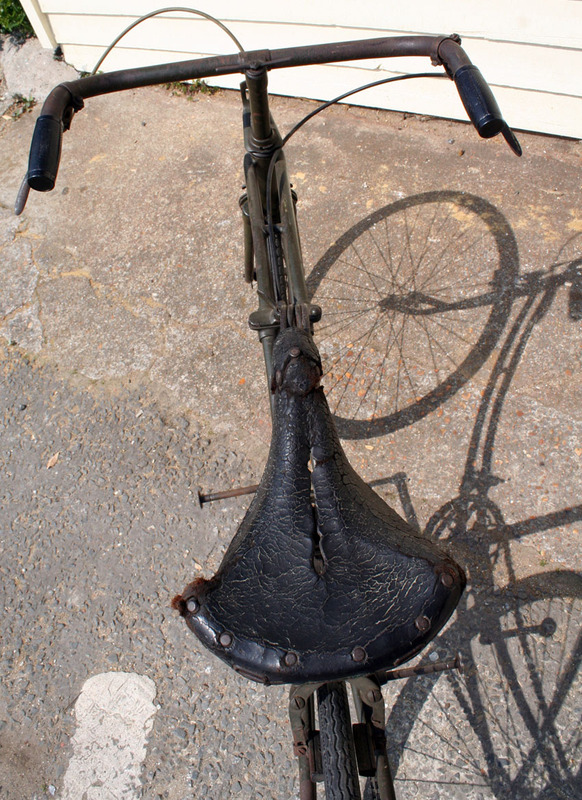 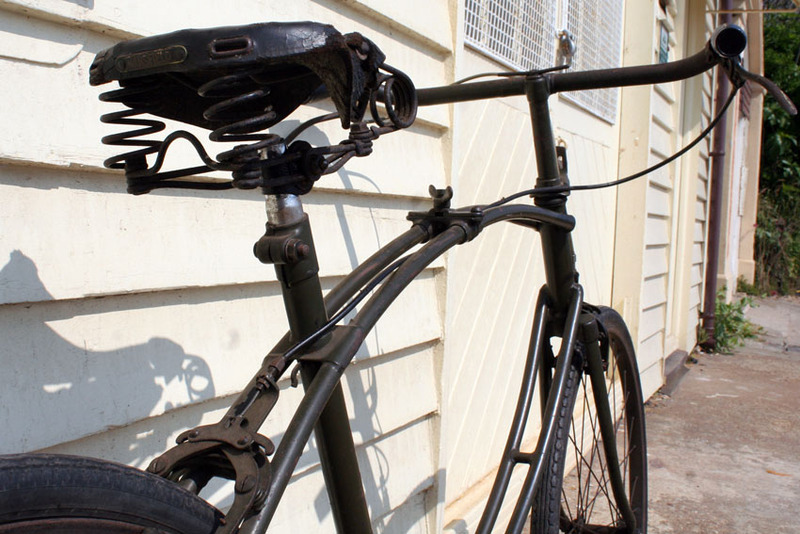 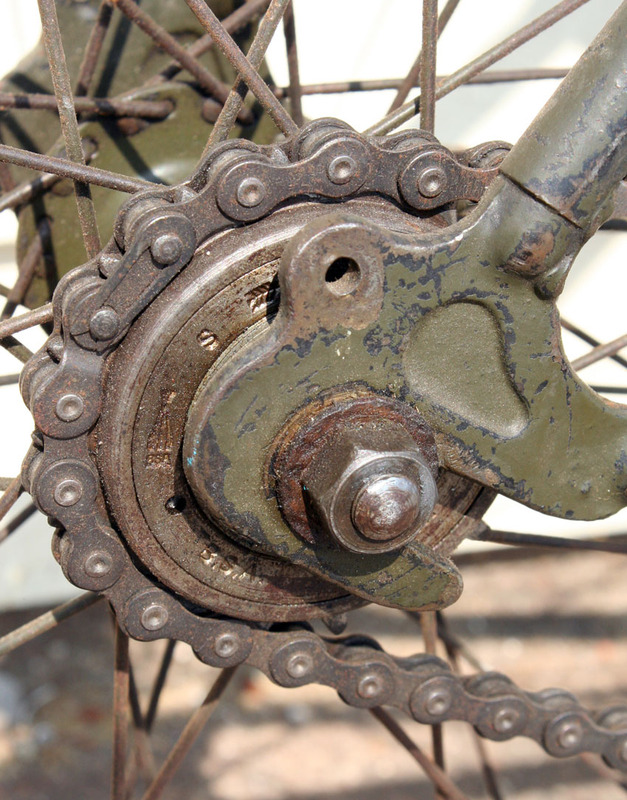 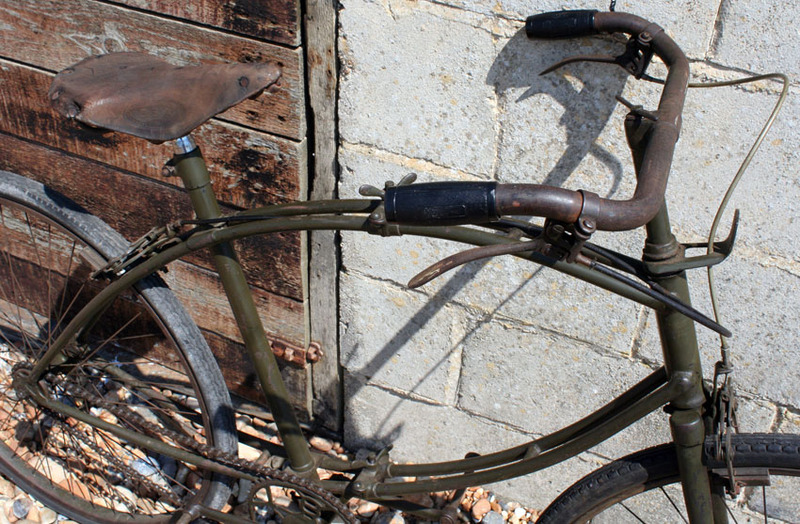 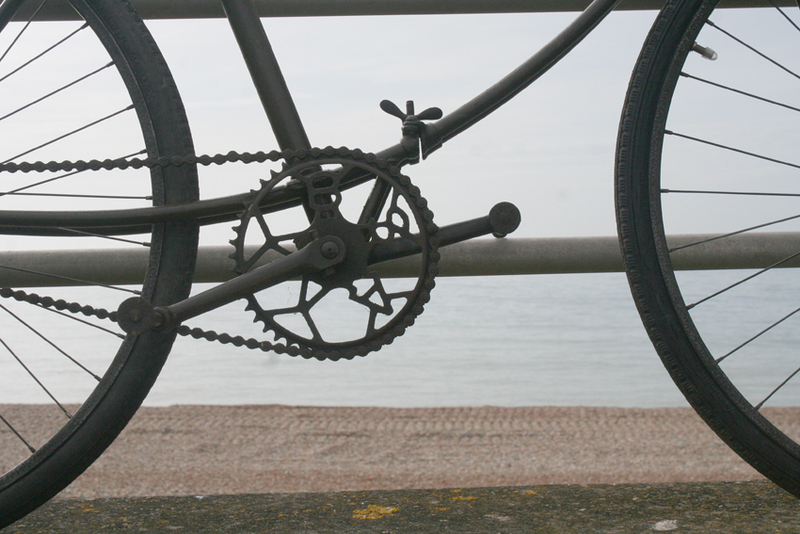 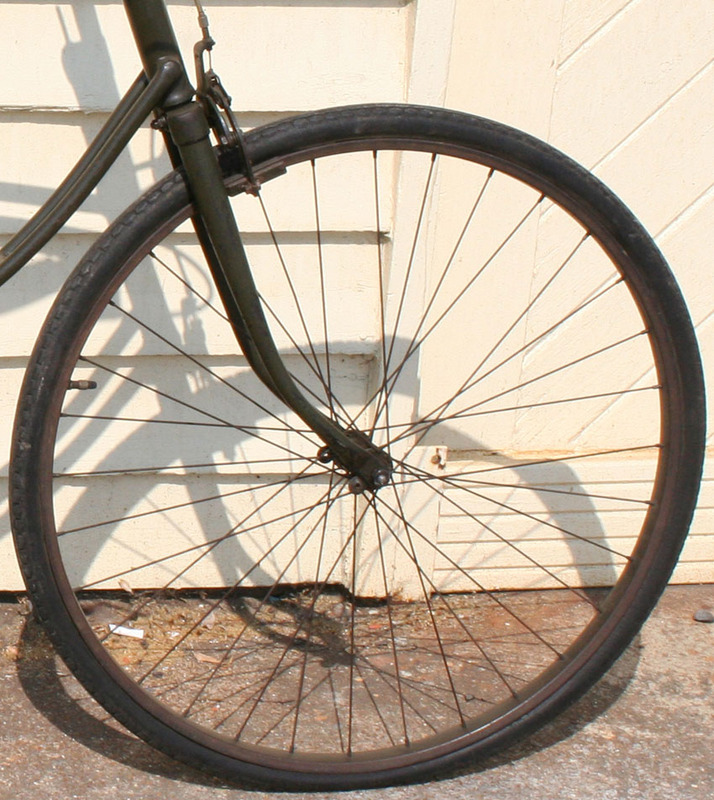 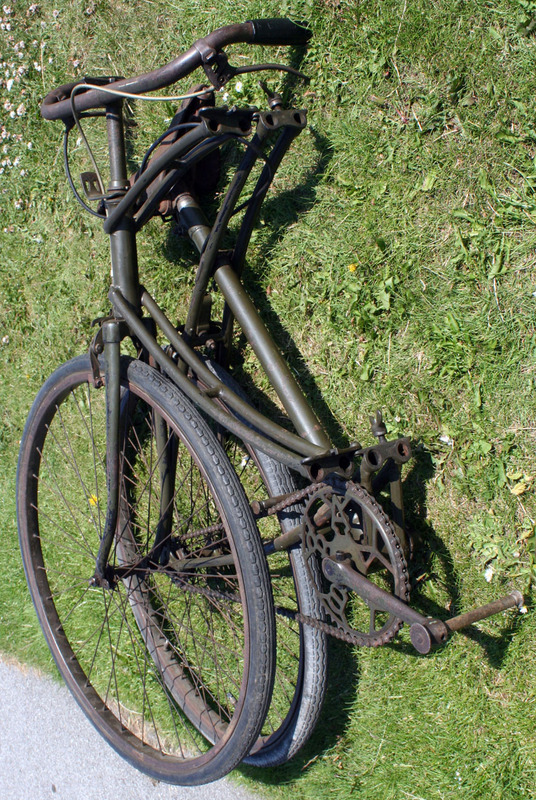 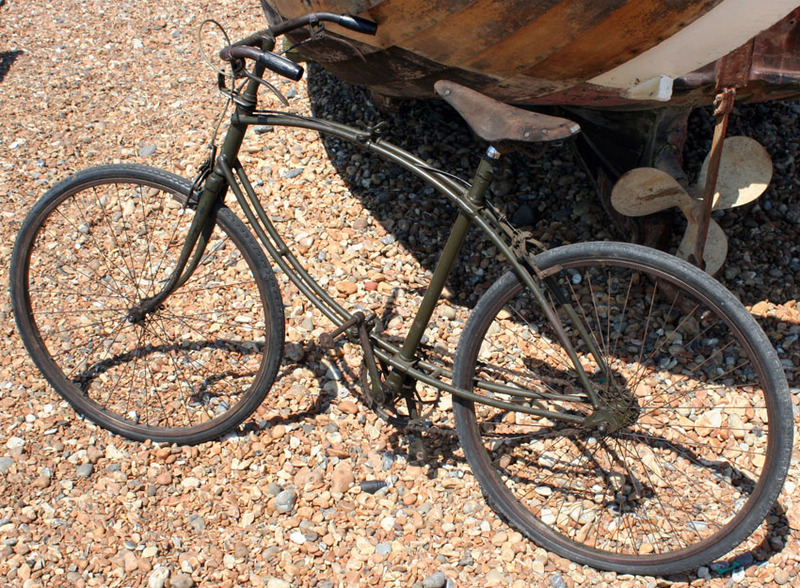 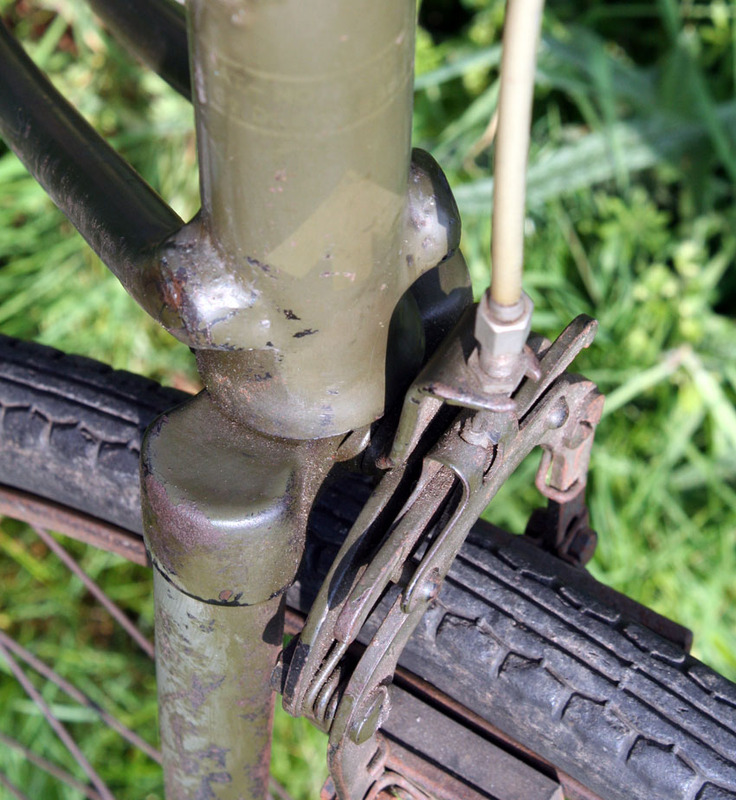 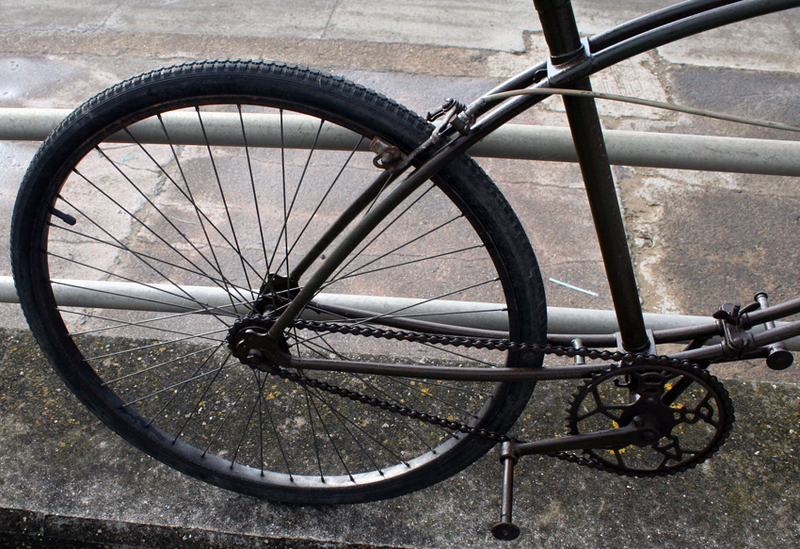 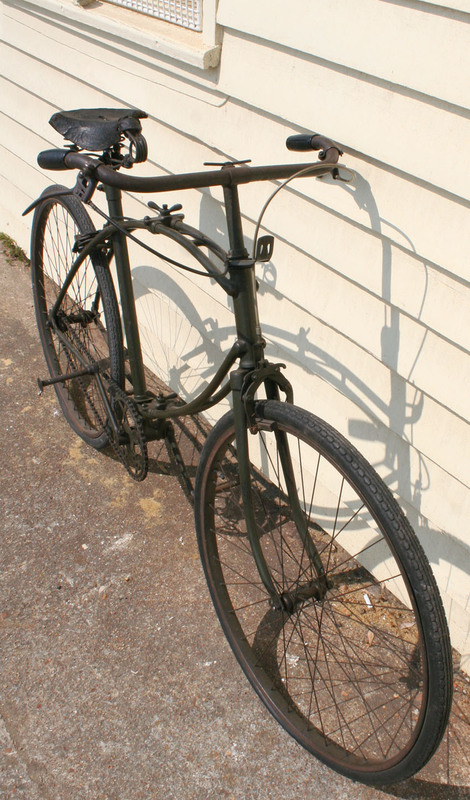 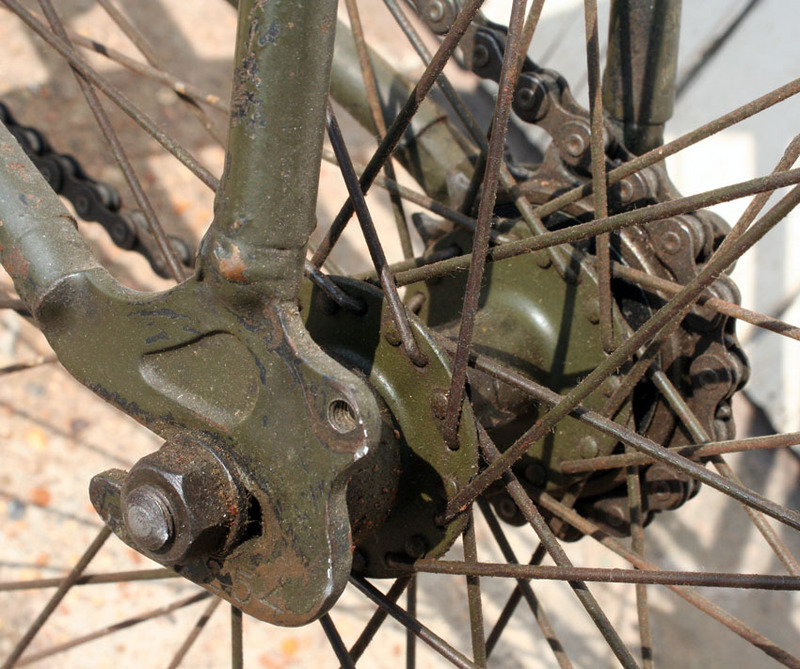 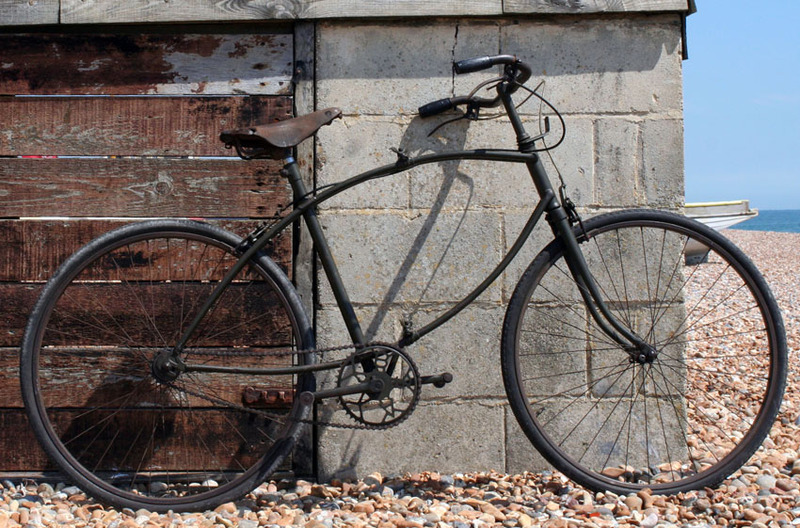 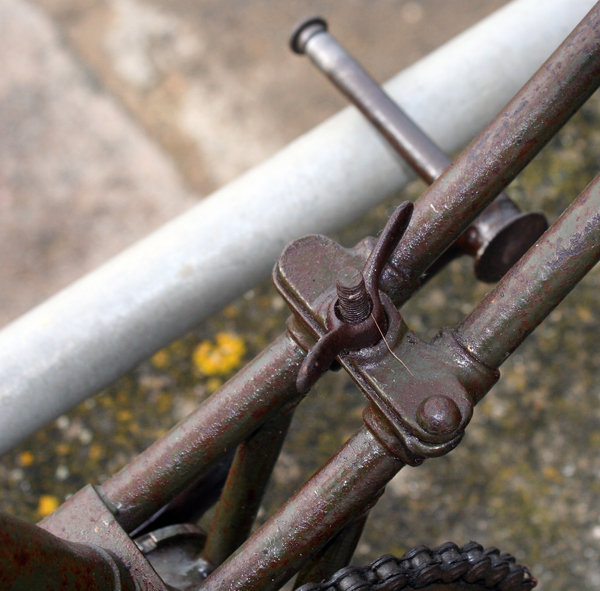 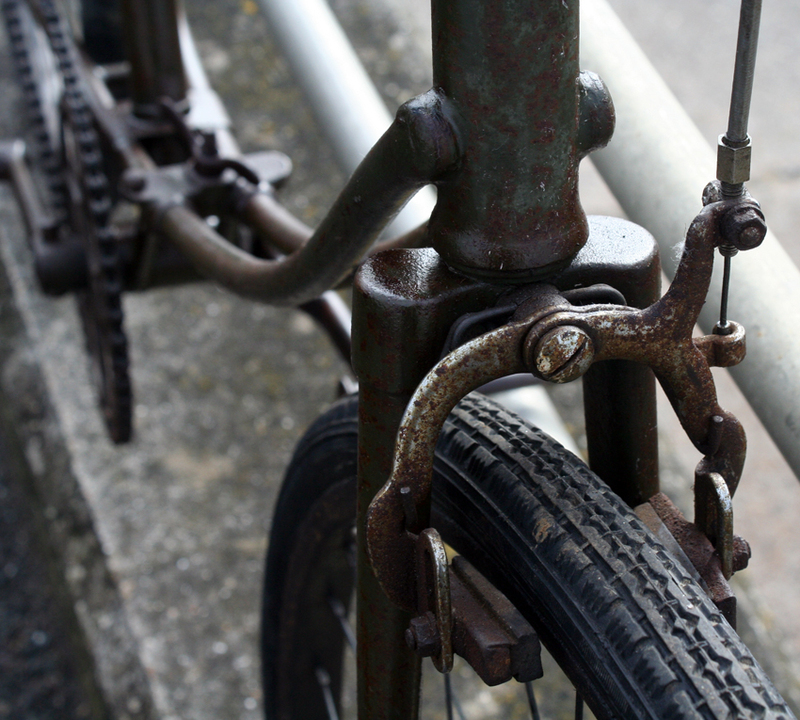 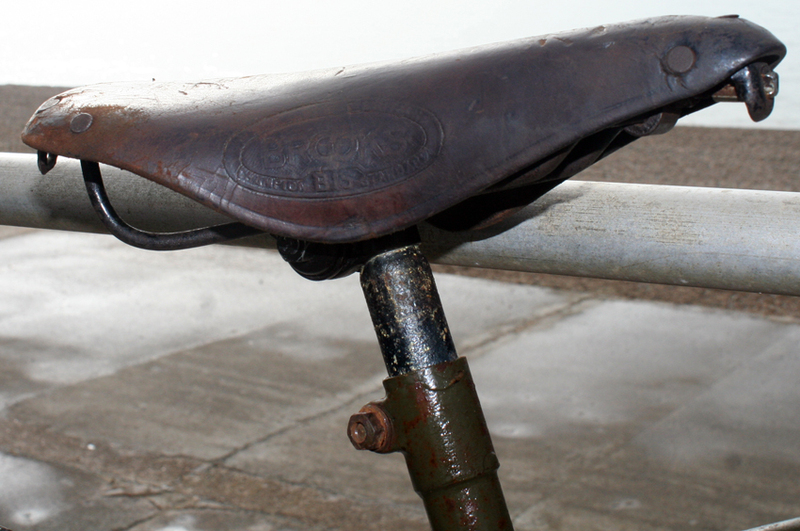 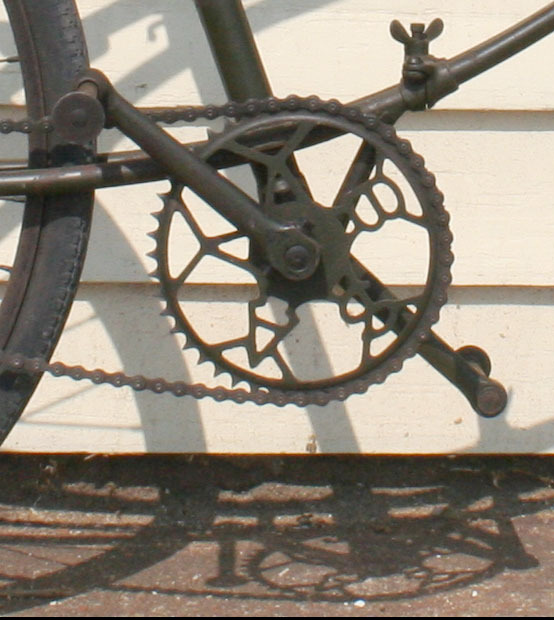 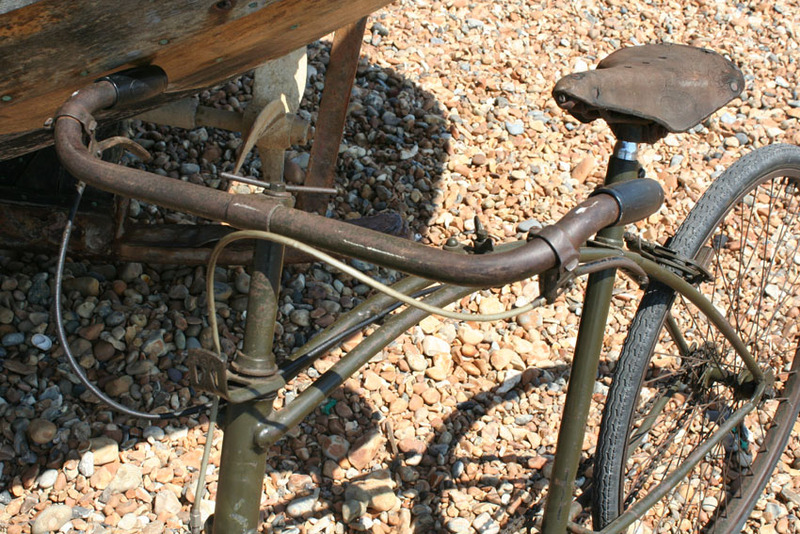 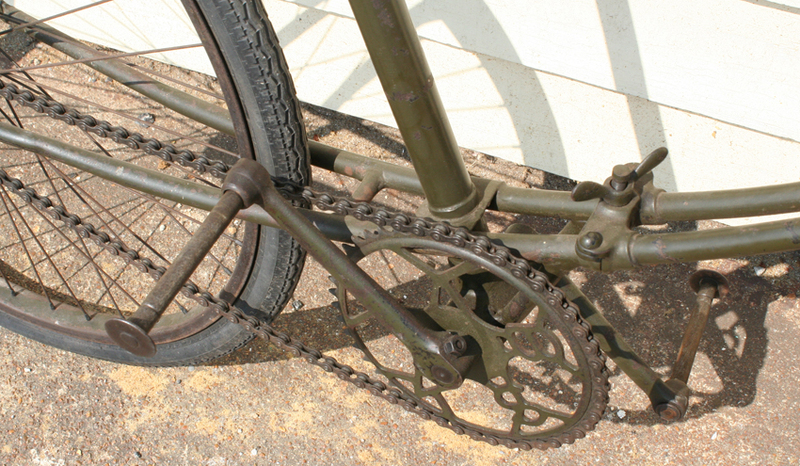 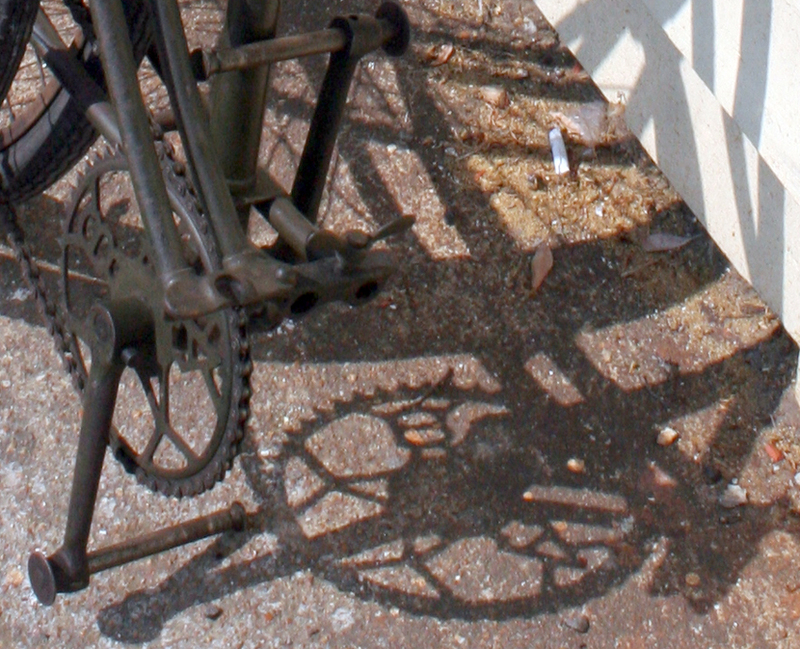 This bicycle still has its original paint: it’s in very good condition for a 1944 bicycle. 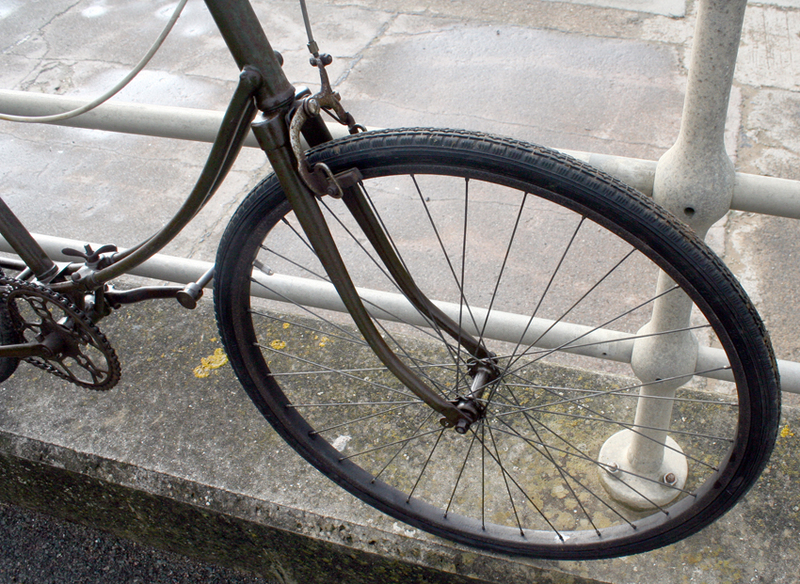 There’s what looks like 67 years of dust and dirt over it, so it would benefit from a wipe over. 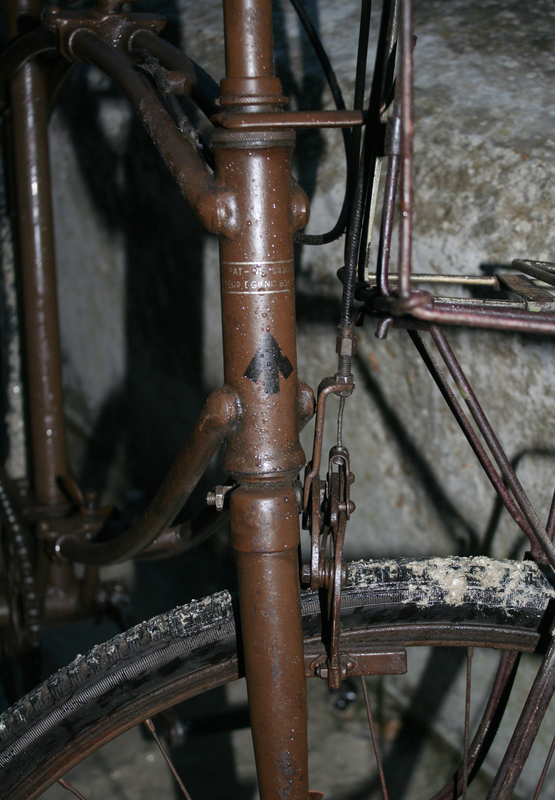 The front and rear transfers are a little faded but, as you can see, are still readable. 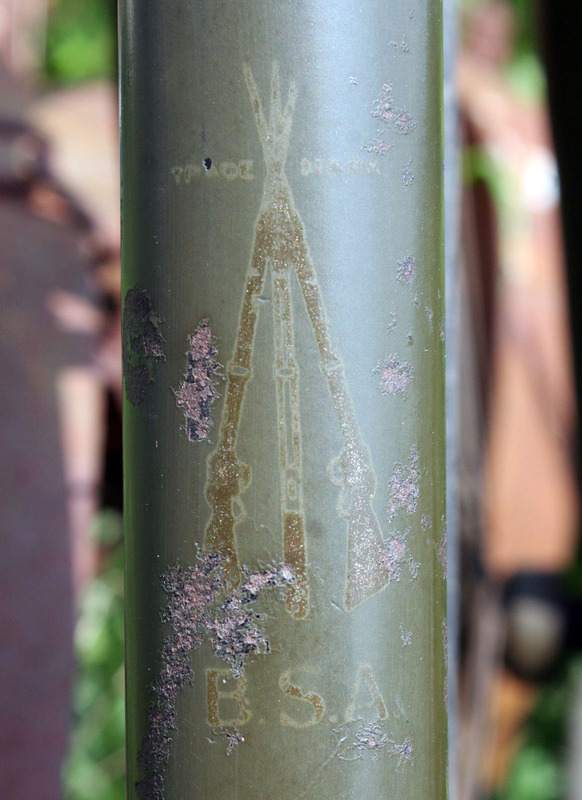 The BSA seat tube transfer still has its gold leaf. 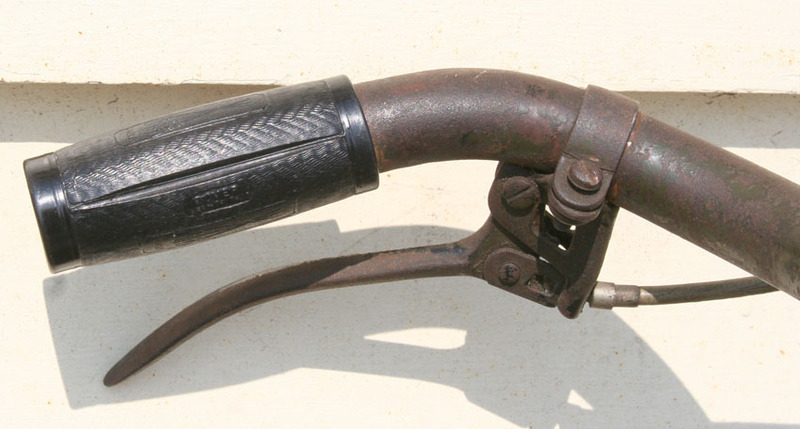 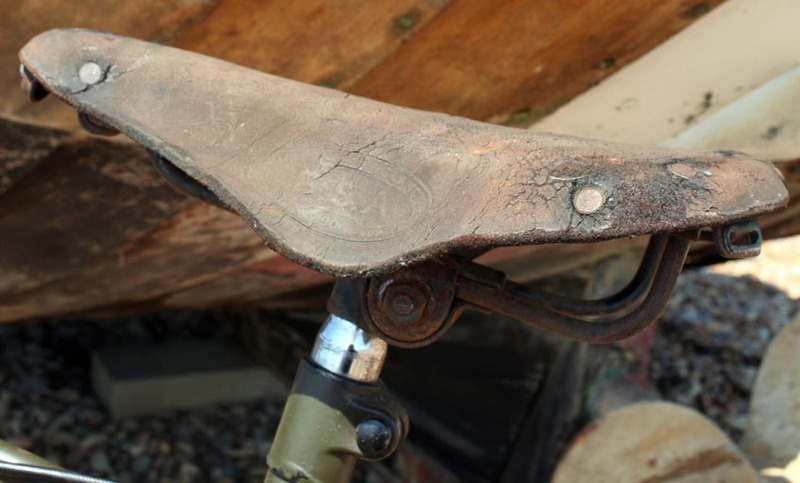 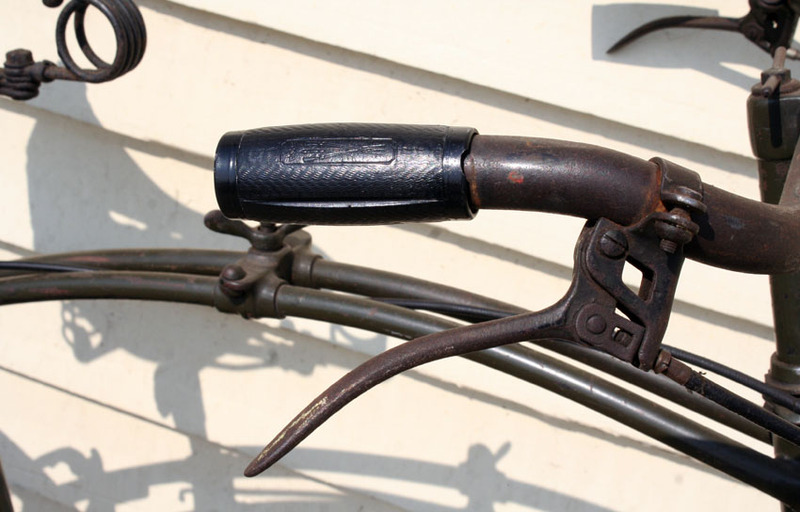 Every component is original, with the exception of the reproduction handlebar grips. 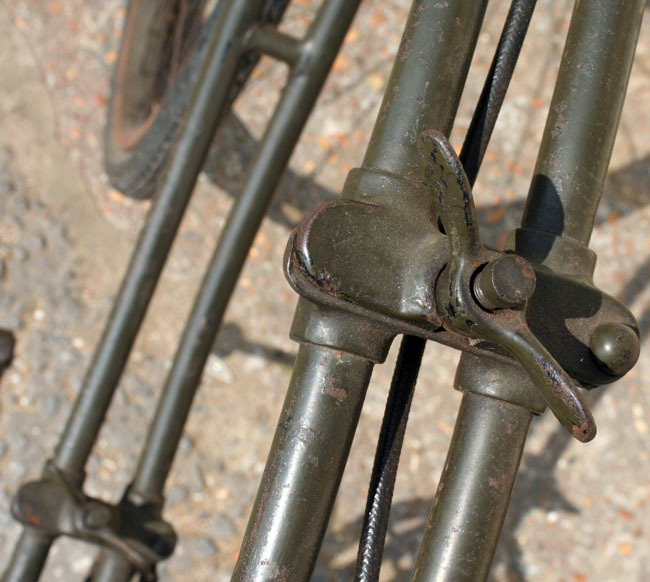 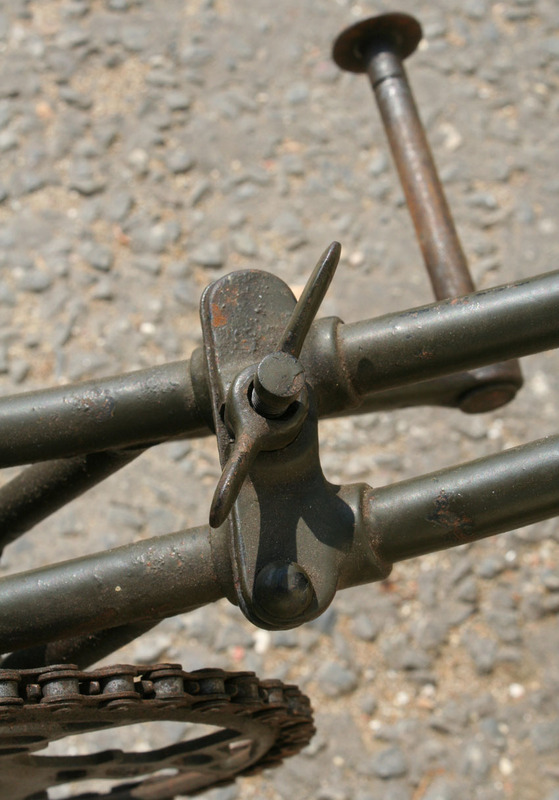 The grips are good reproduction resin BSA Airborne items; one has a small chip on it. 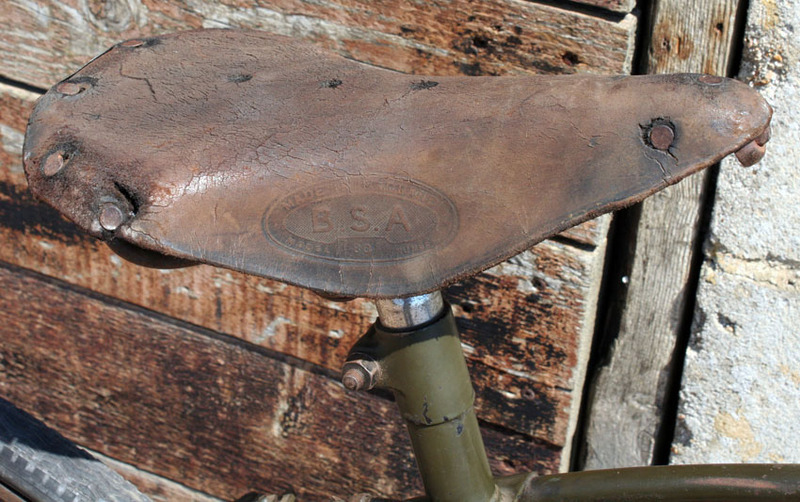 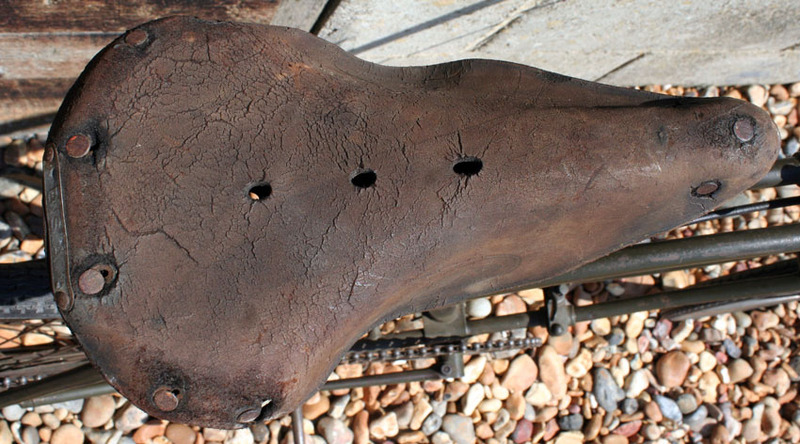 It is fitted with a BSA saddle. 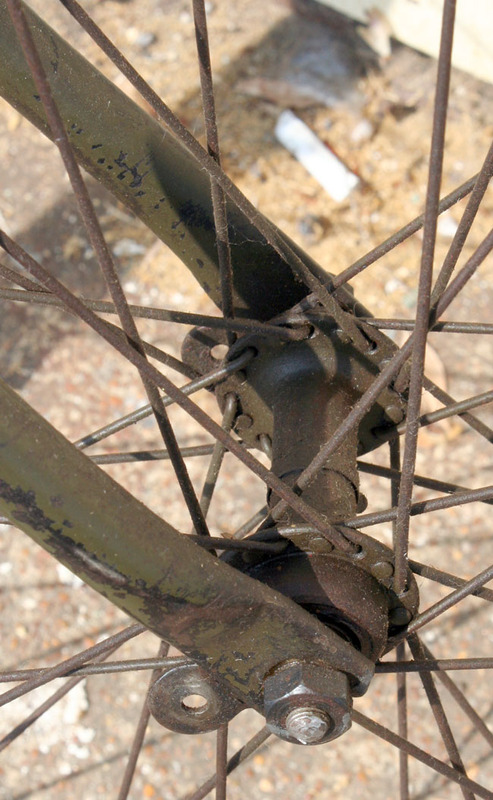 The BSA wheels are good. 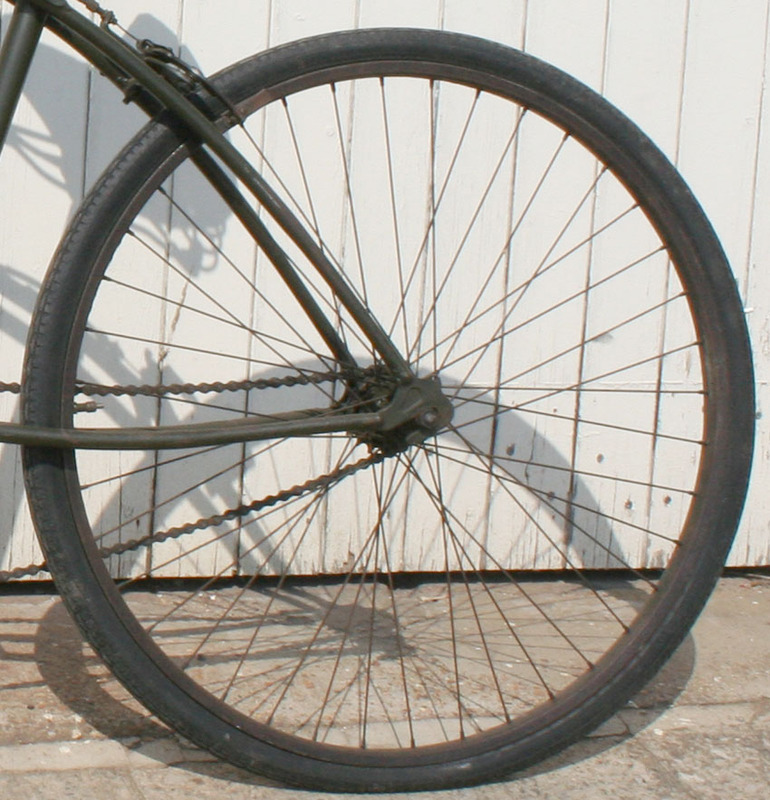 The front tyre is an original Dunlop War-Grade tyre in good condition. 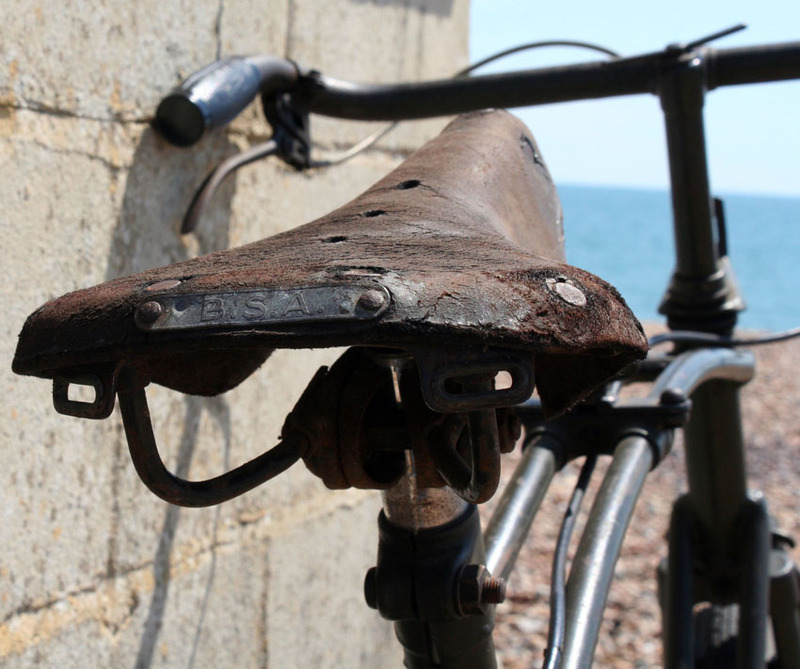 It’s rare to find a usable one. 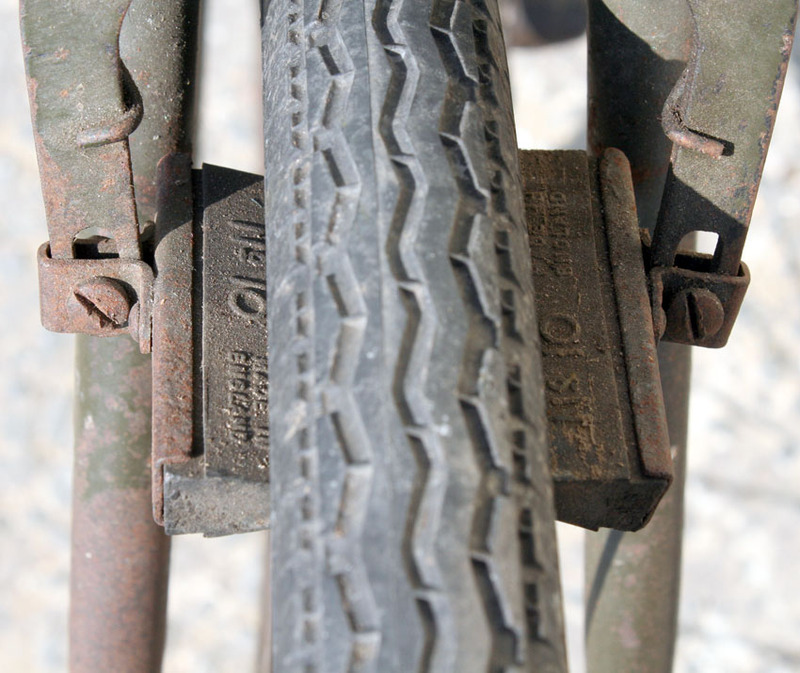 The rear tyre is a modern Michelin with old-style tread pattern (it needs pumping up). 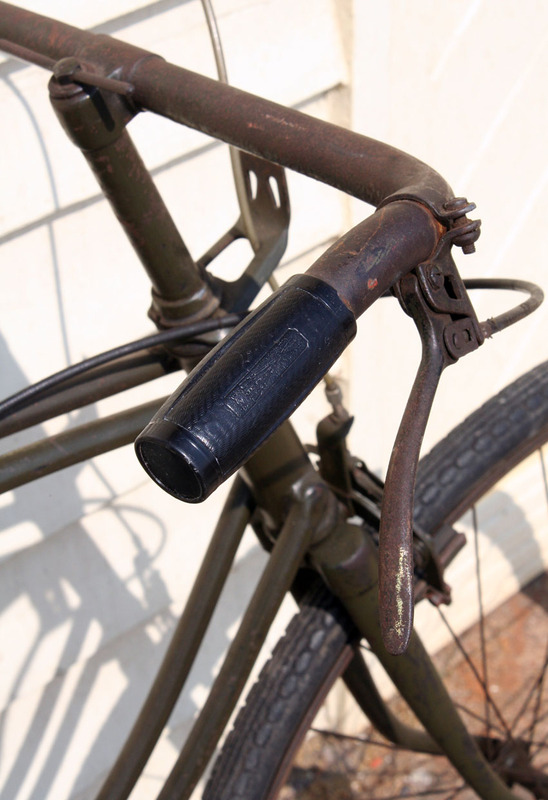 The right hand (off-side) handlebar grip (above and below) has a small chip in the resin. 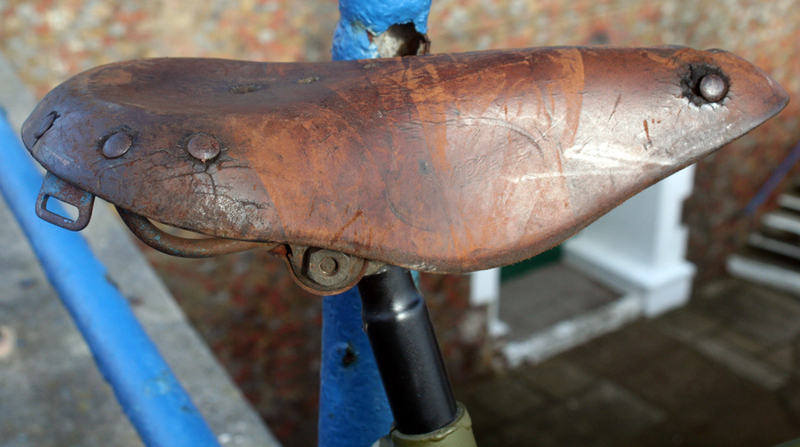 Otherwise, the grips are in perfect condition. 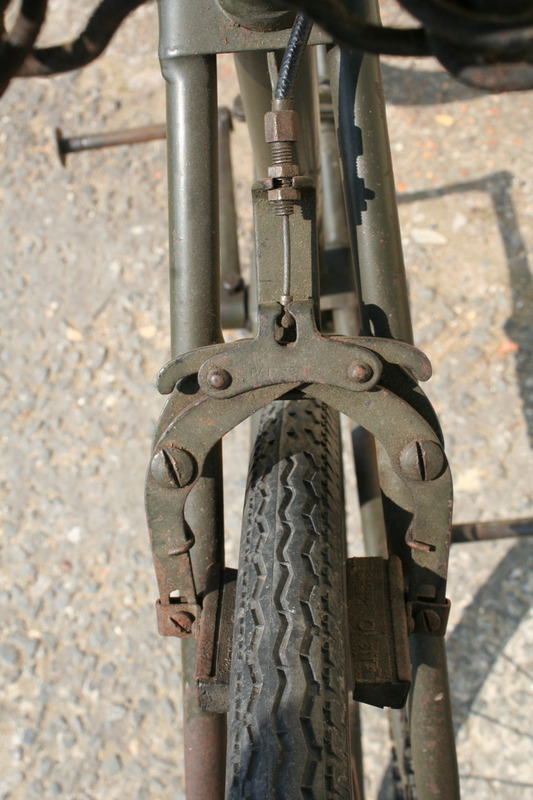 Left hand grip (near-side) below.